Located in beautiful Adams County, Gettysburg, Pennsylvania, Land of Little Horses is a performing animal theme park where people of all ages and walks of life get to enjoy the company of and interact with an assortment of animals. 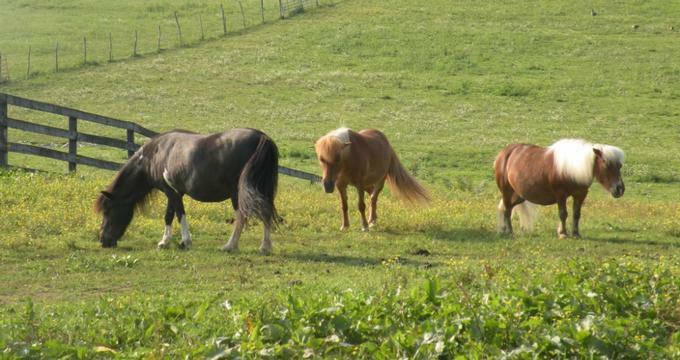 With over 46 years in the business, Land of Little Horses has been entertaining the public with its staff of full-time performing miniature horses and other farms animals to the delight of children as well as those who enjoy experiencing something different. Land of Little Horses is a seasonal performing animal theme park that operates from April through October. Current days and hours of operation are as follows. Land of Little Horses has various admission rates. Applicable rates are detailed below. Season passes to the Land of Little Horses are currently available for the 2018 season on the Land of Little Horses website. These types of passes are a good option for anyone who plans to visit Land of Little Horses on several occasions during a season. With a season pass, pass holders obtain unlimited admission to the Land of Little Horses and receive several perks such as discounts for the gift shop and the day camp as well as invitations to exclusive season pass holder events. Land of Little Horses offers group rates at $10 per person for groups with a minimum of 30 people. This option is great for schools, day camps, and other larger groups. Bookings for all groups must be paid in full at least 2 weeks in advance of the expected visit. Those interested in group rates can contact Land of Little Horses to receive a brochure regarding group rates. Land of Little Horses hosts a number of events throughout the season. From fundraisers to retirement celebrations and the opening of the children's day camp, Land of Little Horses makes sure that visitors are always entertained no matter when they come by offering an assortment of activities. The latest list of upcoming events can be viewed on the Land of Little Horses website. The Hobby Horse Gift Shop offers an assortment of items for sale to commemorate a visit to the Land of Little Horses. Items for sale include gift cards, stationery, plush toys, clothing and hats, and porcelain and glass collectible items. If desired, the gift shop can also create souvenir packages for groups.